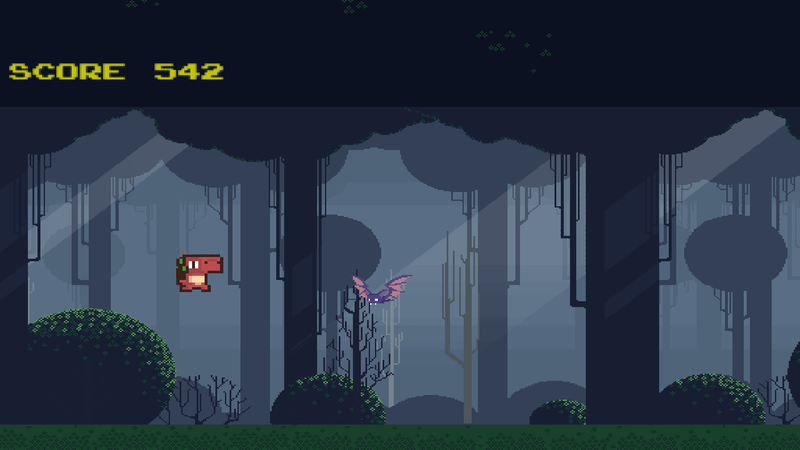 DinoRush is an endless runner where you control a dinosaur with a jetpack! The game has a high score table! If the game is successful, we'll add a story mode and new fun modes to play! To control the Dino, use the W and S buttons on your keyboard! Avoid bats, dinosaurs and everything in your way except coins! Coins add 50 points to your score! The game is endless but has a mini boss!